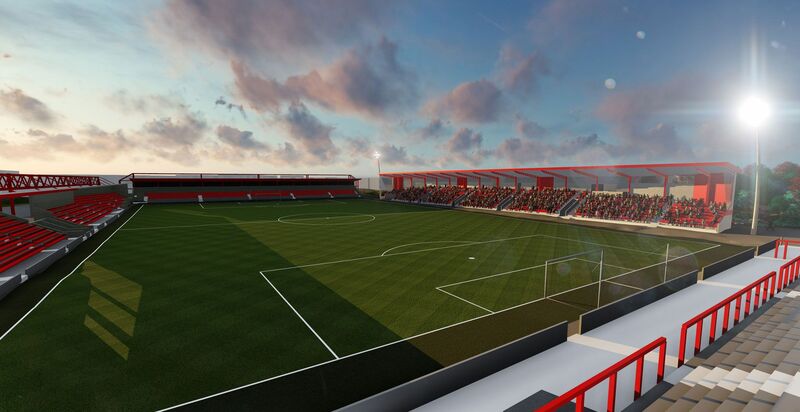 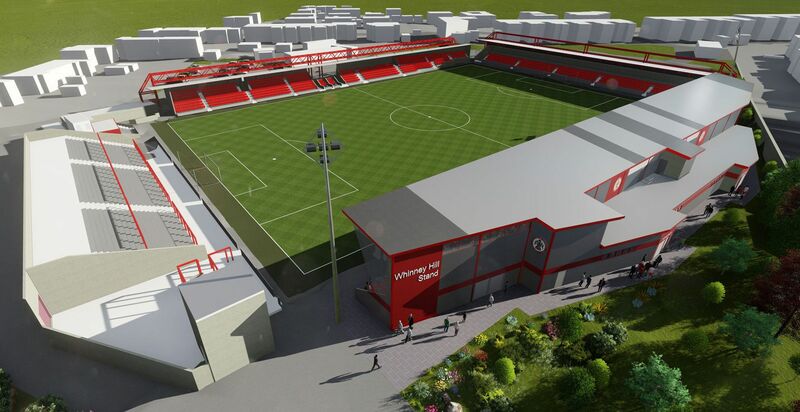 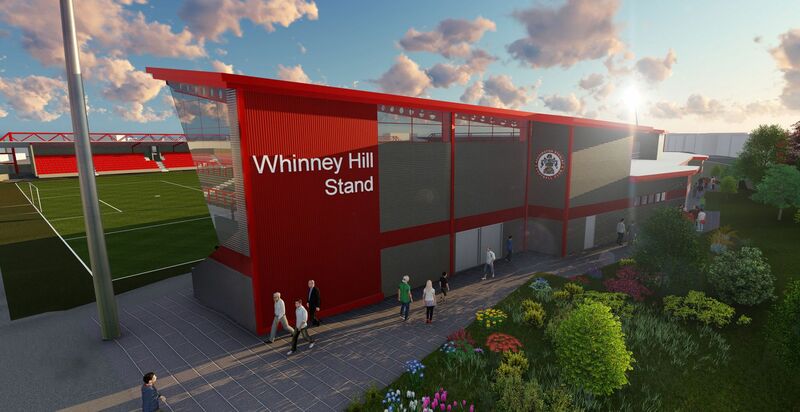 Commissioned by Accrington Stanley and delivered by FWP Group, the concept of Crown Ground’s expansion includes a brand new north side, the Whinney Hill Terrace. 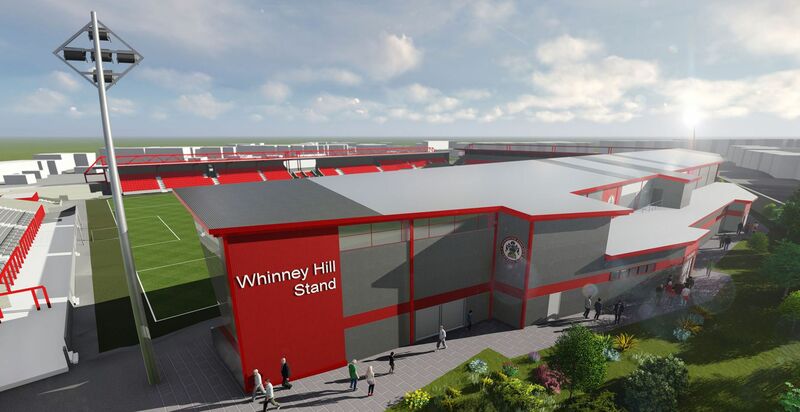 Old landfill with just 3 rows will be replaced by a steel structure with 1,500 covered seats. 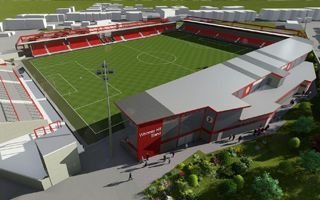 This means capacity should stay very close to the current one of 5,000+ The commercial potential is a different story, though. 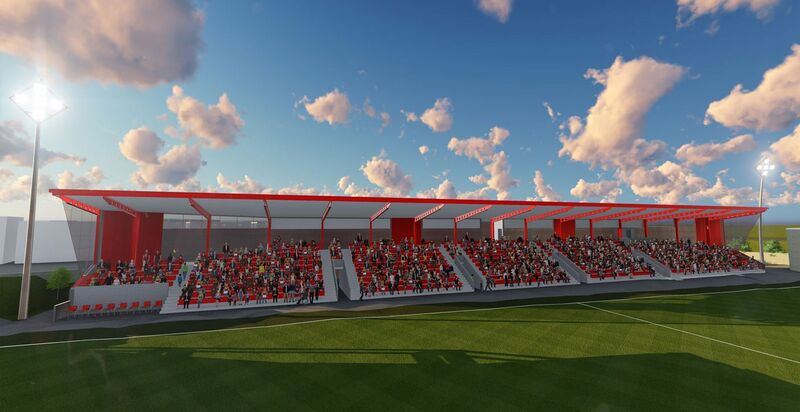 The new stand will have extensive facilities for spectators and will also allow for easy addition of corporate boxes if the club needs and can afford them.